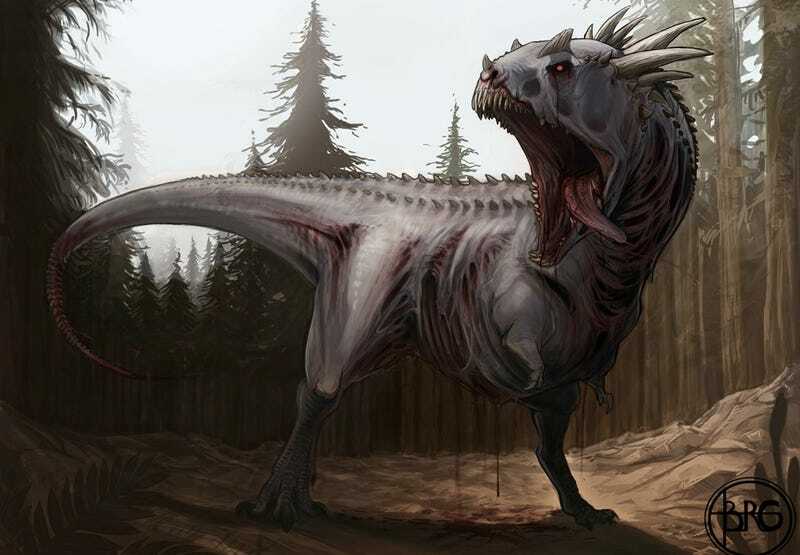 Concept Art Writing Prompt: Zombie Dinosaur! This week's writing prompt is simple: write about a zombie dinosaur or dinosaurs. Is it a prehistoric apocalypse? A new Jurassic Park gone wrong? You decide. This zombie T-Rex is the work of B.R.Guthrie, via r/ImaginaryDinosaurs. Guthrie has written his own bit of prose related to this image, and you can read it over on deviantART. See if you can come up with a zombie dinosaur story and post it in the comments.